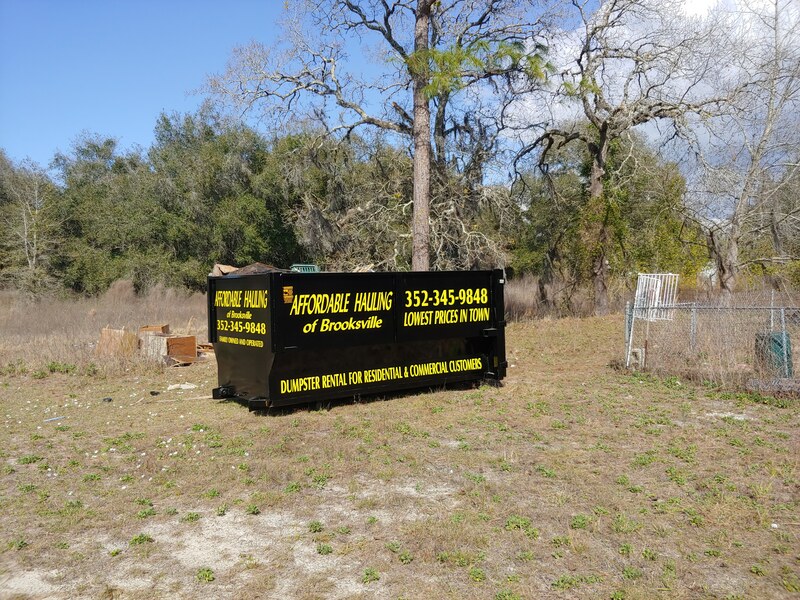 Affordable Hauling of Brooksville LLC is family owned and operated completely focused on providing local dumpster rentals with high-quality service and outstanding customer satisfaction. We will do everything we can to meet or exceed your expectations. We are always looking to build long term business relationships with other small businesses located in Spring Hill and Brooksville. We proudly service Spring Hill, Brooksville, Ridge Manor, Webster, Weeki Wachee, Masaryktown, Homassasa, Lecanto, Floral City ,Inverness, Dade City, Land O Lakes, Hudson and Port Richey. So reach out to us to see how we can work together.